He was Britain's most wanted man, and spent seven years in America's toughest prison. You'll like him. During the mid 1980s Howard Marks had forty three aliases, eighty nine phone lines and owned twenty five companies throughout the world. Whether bars, recording studios or offshore banks, all were money laundering vehicles serving the core activity: dope dealing. Marks began to deal small amounts of hashish while doing a postgraduate philosopy course at Oxford, but soon he was moving much larger quantities. At the height of his career he was smuggling consignments of up to fifty tons from Pakistan and Thailand to America and Canada and had contact with organisations as diverse as MI6, the CIA, the IRA and the Mafia. 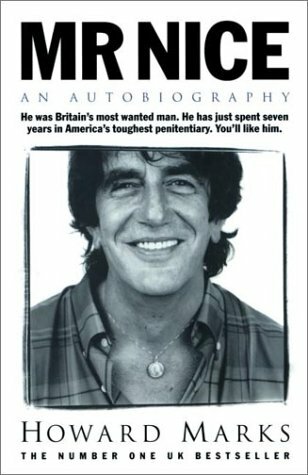 Mr Nice is Howard Marks extraordinary story.